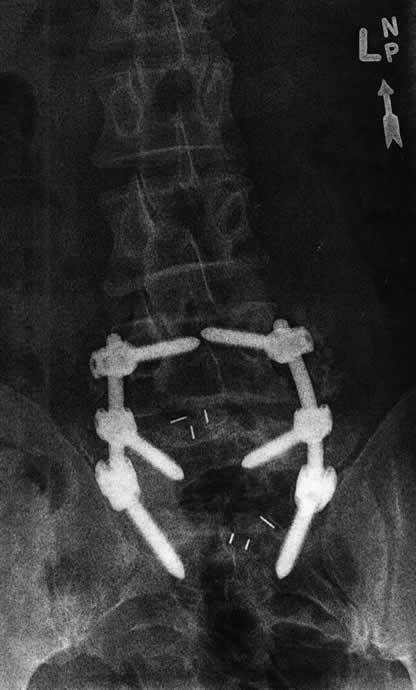 After suffering for more than 20 years with degenerative lumbar disks (see Lower Back) I finally underwent a 5 hour long operation to fuse/stabilize my lower back at L4-L5 and L5-S1 on March 23, 2012. I was very fortunate to have Dr. Marcel Dvorak, Head of Orthopedic Surgery at Vancouver General Hospital, perform my surgery, along with his team of surgeons, and support staff (Dr. Dvorak is considered by other surgeons and health care professionals to be one of the top specialists in the world in this area - yes, I am very fortunate). 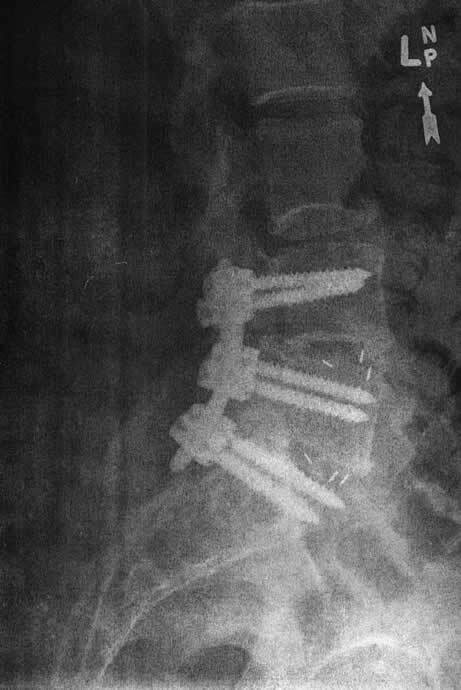 As a result of his handiwork I now have 2 ceramic spacers that have replaced my worn-out disks, my facet joints at those levels have been removed, and I also have 6 titanium screws and 2 rods in place now. The surgery was a complete success. 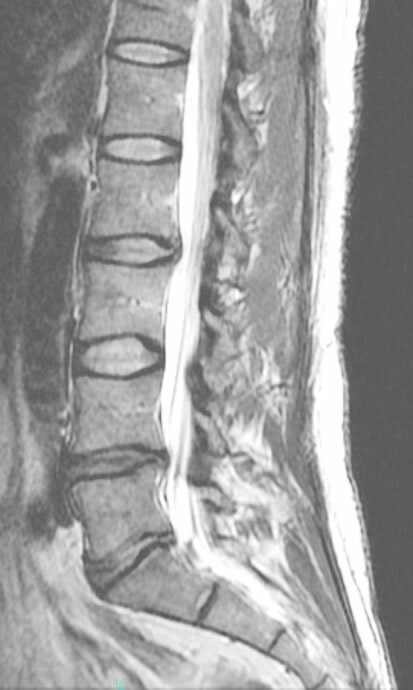 USC has a good web site that details the procedure that was performed (see http://www.uscspine.com/treatment/min-invasive-spinalfusion.cfm). Here's my wound site 2 days post surgery - as you can see, the area is inflammed, and remained so for several weeks. 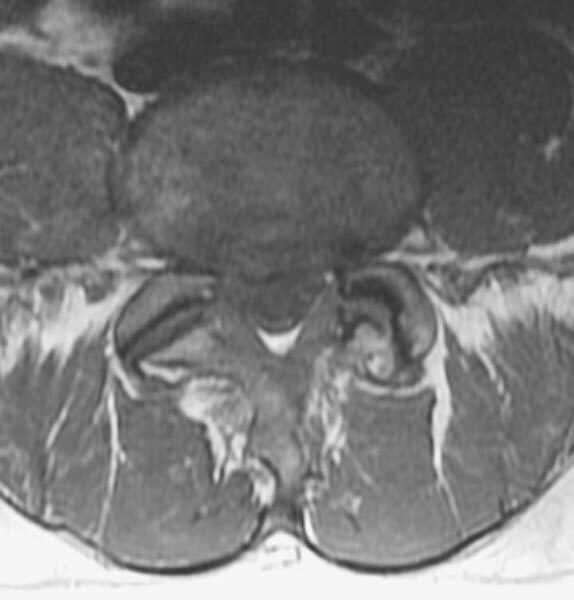 In fact the feeling in the area was just coming back to 50% 6 months post operatively.